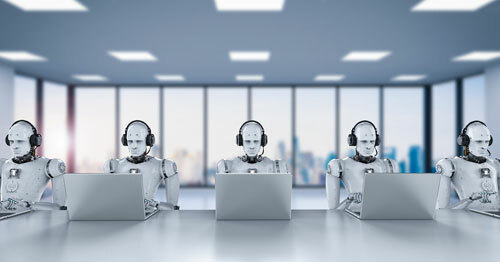 Priya Iyer, Chairman & CEO at Vee24 looks at the the growing trend of AI in the contact centre and how it will affect the customer experience. Tech magnates like Elon Musk and Bill Gates have cautioned the threat of super intelligence and AI. While the reality of super intelligence may be a few decades away, contact centres are experiencing the now of this technology and asking themselves whether increased automation will also mean an increase in P45s. ChatBots are being used in every industry vertical—retail, automotive, financial services, even healthcare—to replace humans in contact centres. AI is expected to take over around 38% of US jobs by the year 2030. And in the UK Up to 30 per cent of UK jobs are at risk of being taken over by robots and Artificial Intelligence by the early 2030s, according to PwC. Does the rise in AI mean contact centres should immediately start preparing for doomsday? 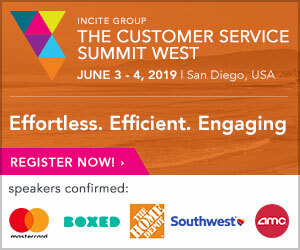 Or can contact centres start to leverage the move towards AI and create a more customer-focused environment that will result in higher levels of customer care? 1. Text Chat will be the first to be replaced with ChatBots. While text chat is very efficient and allows you to service multiple customers at once, most companies have built up a repository of chat transcripts that can be used to train Bots. If you are a contact centre, it is time for you to move more of your team to video based live engagement. 2. Customers who feel emotionally connected to businesses buy more products, use more services, provide vocal support, and pay more attention to company advice. Only humans can create a sense of relationships and trust with your customer. Video chat empowers your contact centre teams to build a trusted advisor relationship with your customer – something ChatBots simply cannot offer. 3. 98% percent of customers (in a study done by Accenture) reported that they would likely make another purchase from a company if they had a good experience. Video chat consistently gives you 90+% NPS and CSAT ratings. Text chat has less than 60% and ChatBots even less. Moving your CC team to video chat gives you the metrics you need to convince management of the value. 4. Incorporate co-browse and screen-share technology into your phone based contact centres. This will not only digitize and bring you to the new age, it will really super-charge important metrics like first call resolution and average handle time (which measures the total time to resolution, not just the average time per engagement) which are still weak for ChatBots. 5. 2-way video chat allows your agent to see your customer, with their permission. The customer can also show the agent the faulty product, a design they like or a furniture they are trying to match, using their webcam. Enable your agents to “visit” the customer’s environment to solve problems or provide recommendations using 2-way video chat. 6. Remember, while happy customers only tell 4-6 people, an unhappy customer will tell between 9 to 15 people about their experience. 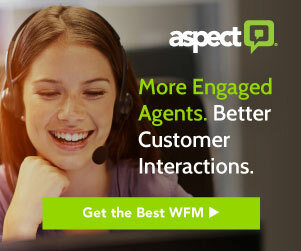 2-way video chat allows your agents to see your customer. When dealing with unhappy or anxious customers, it can be invaluable to your agents to actually see the customer and express their empathy both verbally and visually. The more human your contact centre engagements and interactions are with the customer, the more likely you won’t be killed by the AI trend. While AI technology can provide efficiency and cost savings, human interaction create value like no other. People are social beings, and ultimately nothing can ever truly replicate the experience of connecting with another person. Tuning your contact centre for high volume per operator and low average call duration will result in agents that behave like Bots. That’s exactly what AI will kill. Make them more human right now and use all their human attributes to provide the best sales and service online. That’s a service that no AI can replicate. 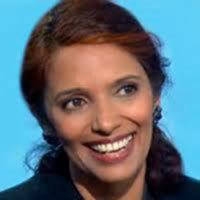 Priya Iyer is Chairman & CEO at Vee24. With over 25 years of diverse international experience in nearly every facet of software, Priya is a proven, high-growth entrepreneurial CEO with a leadership philosophy centered on engaging clients and employees to build industry leading SaaS software platforms and delivering exceptional stakeholder value to achieve sustainable competitive differentiation. Demonstrated success in developing and scaling a strong entrepreneurial and innovative culture, attracting and retaining top talent, cultivating a sense of ownership throughout the organization, and leading successful teams. Priya was awarded New England Entrepreneur of the Year in 2014 and ranked on the 2015 top 100 Entrepreneur list by the Boston Globe. Prior to Vee24, Priya was most recently Chairman & CEO of Anaqua, Inc. which she founded in October 2004 and grew into a global SaaS solutions provider for Intellectual Asset Management. Prior to Anaqua, Priya headed Operations at Steelpoint Technologies, a legal software provider for Fortune 500 companies and global law firms, where she drove the company from the red to profitable quarter-after-quarter growth. Prior to Steelpoint, Priya was Managing Partner at AGENCY.COM where she founded and grew a financial services practice to $250 million in less than 5 years. Priya has also held senior positions at Bell Labs and Foxboro Systems.